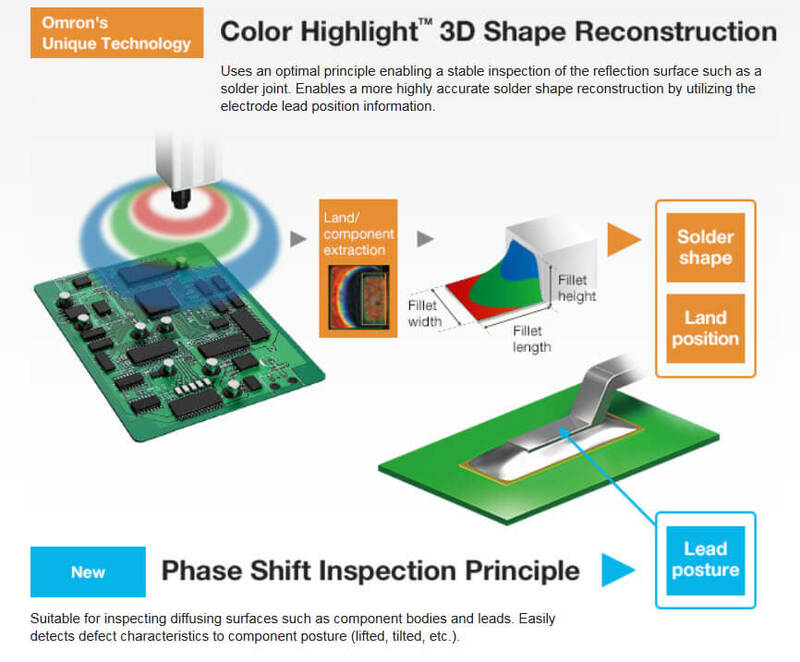 The following two inspection requirements need to be met to realize quantifying the solder shape by using 3D-SJI and to satisfy soldering inspection with high connection reliability. Even for high-gloss curved surfaces such as a solder fillet, a color highlight 3D shape reconstruction enables the 3D shape reconstruction within the range of constant inclination angle; therefore the reconstruction range by software calculation is small. Since the light irradiated by the fringe lighting system has a limited spreading angle, the capturable range of a curved fillet is limited. It is necessary to make the light form an image to focus the stripe on the work face. (This is like the spotlight.) Therefore, the light is reflected in a narrow range, so this system is not suitable for the measurement of mirror and curved faces such as fillets. 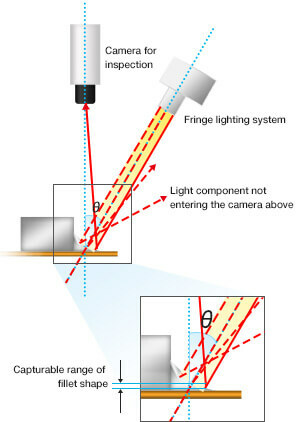 If using the regular reflection of the RGB lights to a mirror face such as a fillet, a certain range of tilt angle can be captured, resulting in a precisely captured fillet shape. 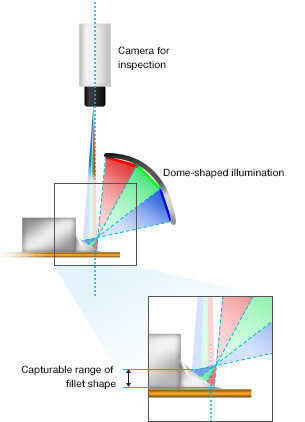 This is because a color highlight dome-shaped illumination, which can irradiate light in a broad angle range of 360 degrees, can broadly irradiate light to a fillet with a curved face almost equal to a mirror face. 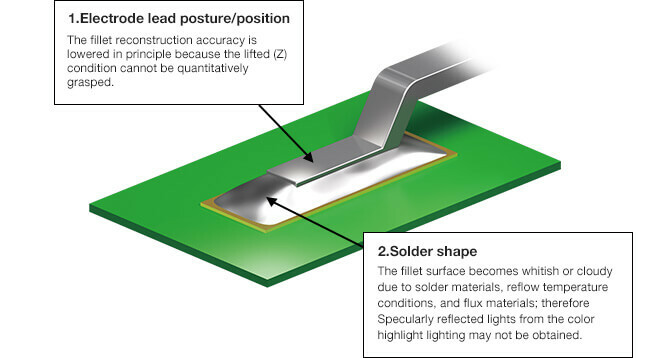 The height measurement principle is required to measure the electrode lead posture and the clouded solder fillet shape.